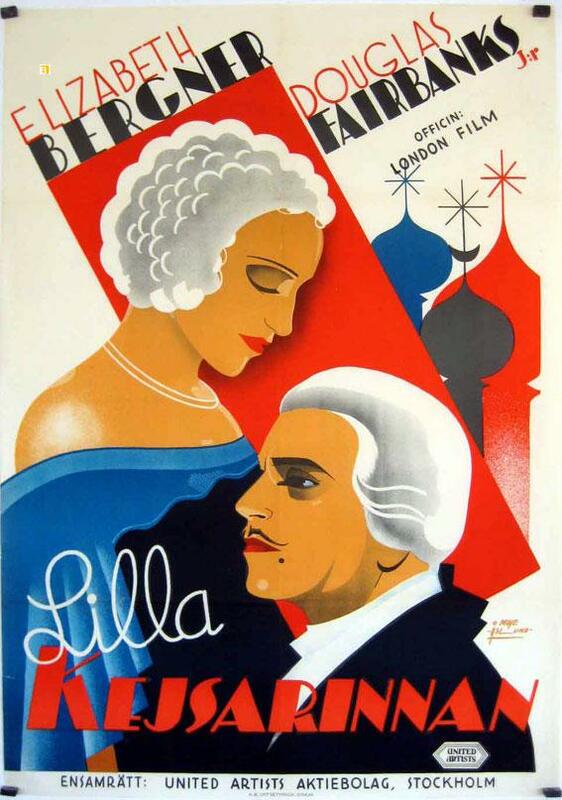 UNITED ARTIST 1933 - LLILLA KEJSARINNAN - 1933, Dir: PAUL CZINNER, Cast: ELISABETH BERGNER, DOUGLAS FAIRBANKS JR, FLORA ROBSON, GERALD DU MAURIER, IRENE VANBRUGH, , , Nac. film: GRAN BRETAÑA, Company: UNITED ARTIST, Designer: , , Nac. poster: SUECIA, Measures (Cm. and Inches) : -70X100-Cm.-27X41-INCHES-1 SH., , Type of product: POSTER, , POSTER are in excellent condition but may have normal wear such as edge wear or a slight hole. I try photograph any flaw but examining the photos closely is your best bet! Please see bigger picture for details., , La mayoría están en excelentes condiciones, pero puede tener desgaste del borde o algun agujero pequeño. Intento fotografiar cualquier defecto, pero el examen de las fotos de cerca es su mejor opción! Por favor ver la foto en grande para más detalles., , SHIPPING COSTS: Fold posters SPAIN 15? -Correo certificado EUROPE and all world 20?